Well, it’s been a great summer here on Petit Manan. 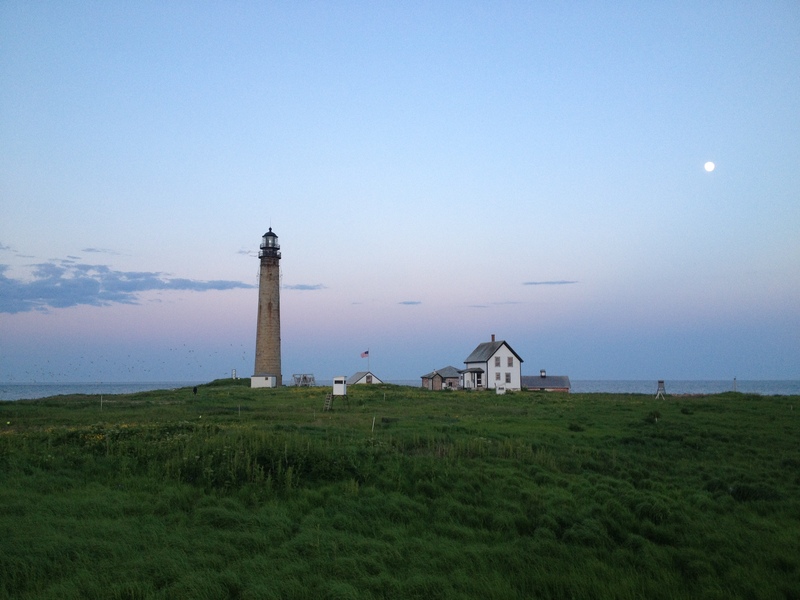 Tomorrow we say good bye to our little island, our birds and our bird people. Over the last week we wrapped up our Alcid (puffin, guillemots and razorbills) monitering for the summer. 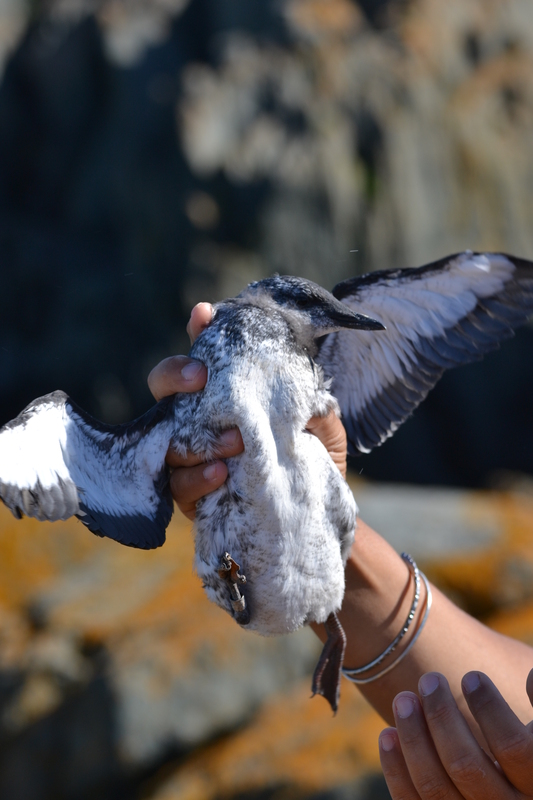 This summer we found 47 puffin, 68 guillemot, and two razorbill burrows. The razorbill chicks have already fledged, while most of the puffin and guillemot chicks are very close. 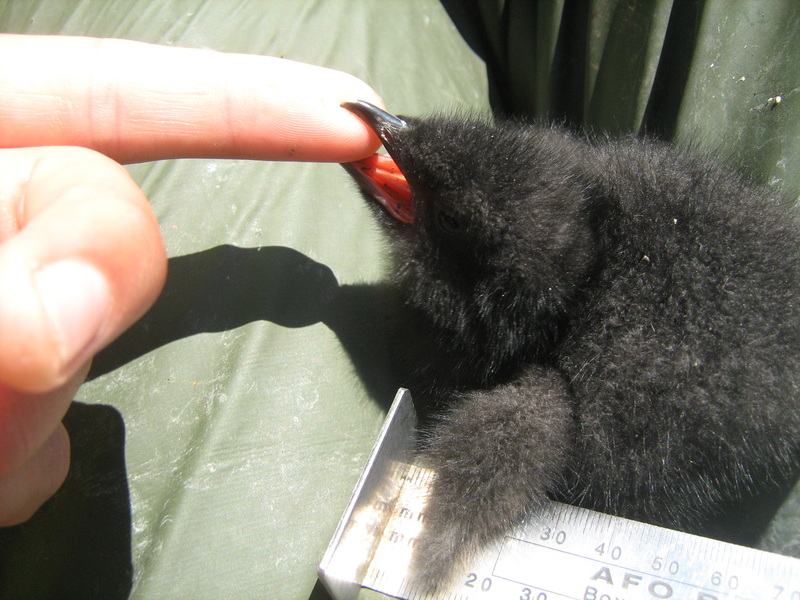 Fun fact: male razorbills act as the post-fledging caretakers of the chick and teach the young how to hunt for fish! We also wrapped up our season bird list at 106 species. 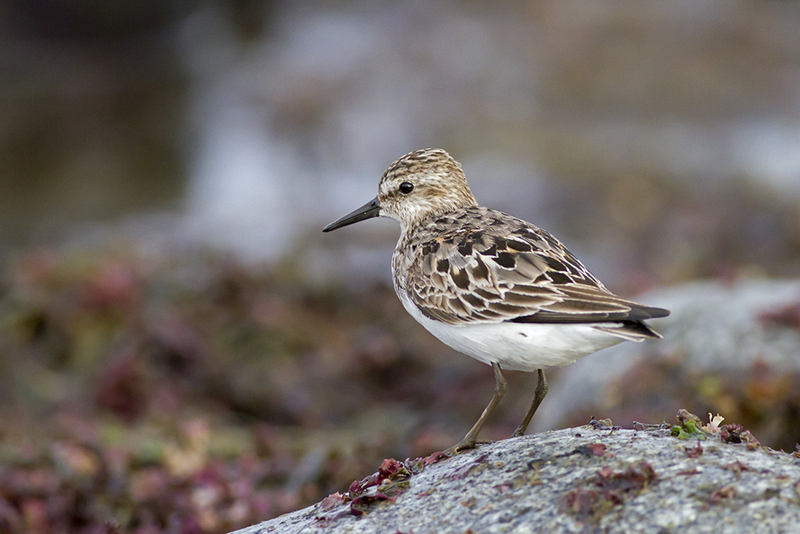 As far as we know this is by far the most bird species seen on PMI in a summer. Not to brag or anything. Maybe we’ll put another one on the list tomorrow morning though…. Now we are packing up the research station and Jordan (our crew leader) is furiously assembling our data to be presented at this years Gulf of Maine Seabird Working Group (GOMSWG). It’s a bittersweet feeling at the end of an amazing summer filled with beautiful birds, good laughs, good food, and good people. The Eastern Brothers Island crew checking in here with one last update before our departure. Our days are coming to an end for the 2013 season, which brings about bitter-sweet emotions. 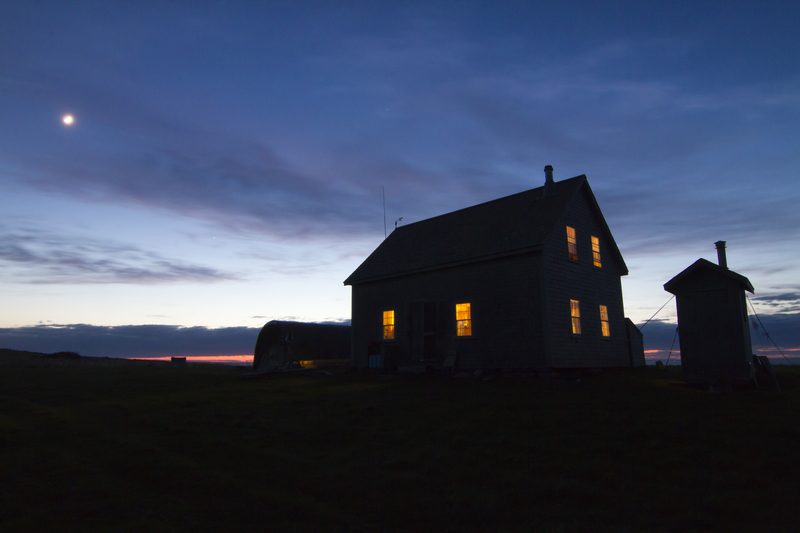 I find it hard to believe how quickly the summer has gone by and yet the other part of me thinks “My, won’t it be nice to take a real shower and eat ice cream!” It has been a wonderful experience living out on this beautiful island and we have definitely come to feel as though the little cabin feels close to home. 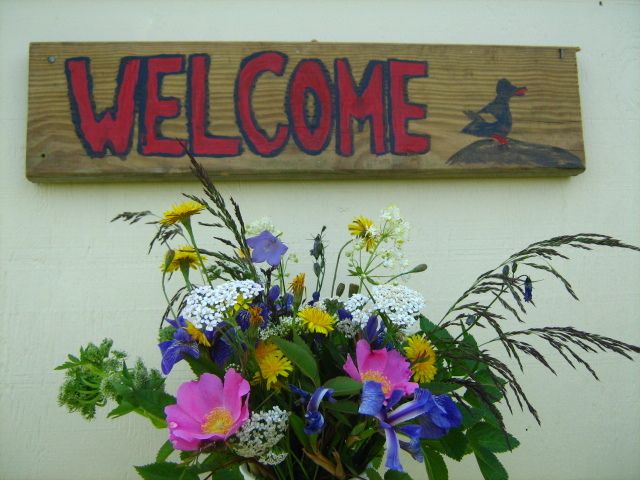 Fresh picked flowers and welcome sign on cabin. A one week old chick practicing how to be fierce. The oldest chick, just a day or two before leaving the burrow. 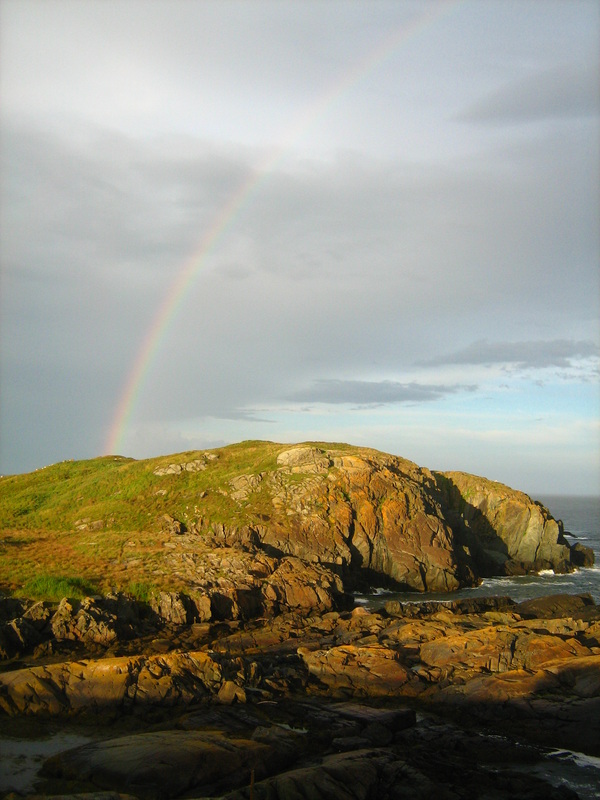 Somewhere over the rainbow lies Eastern Brothers Island. It’s the end of the season and migration time for all of us. Hard as it is to believe, Zak and I have already been off Metinic for more than week. We’re not the only ones heading out – our tern chicks will soon be off on their own travels. Common Terns will head for South America, a pretty long haul for chicks only a few weeks old. 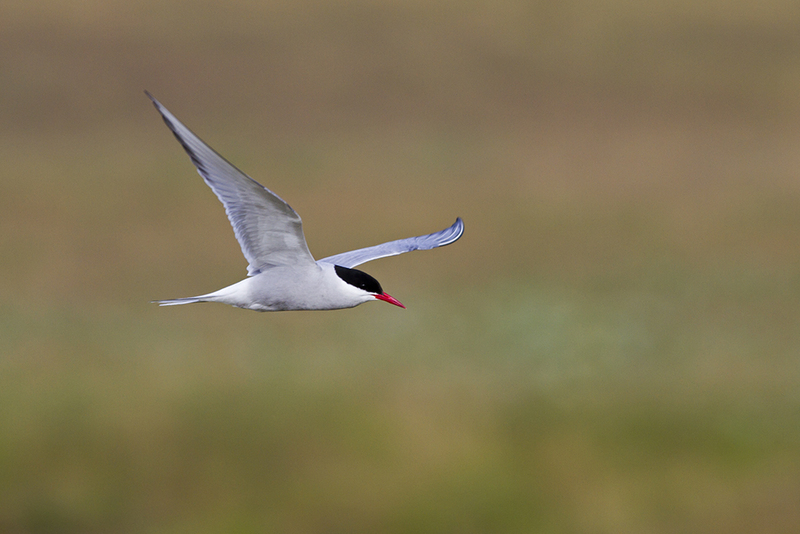 The Arctic Terns have even farther to go – all the way to Antarctica! Lucky for them, they’ve got parents to guide them. Chicks will often complete their first migration by following Mom or Dad. This is because tern parents usually have lots of migratory experience – Common Terns can live to be twenty years old, Arctic Terns more than thirty, and they typically migrate every year. The rest of our feathered friends are getting geared up for migration too. Shorebirds that we haven’t seen since May are flying south from their Arctic breeding grounds and stopped by to say hi before we left. It’s only a matter of time before the songbirds head out, too. It’s been a pretty good breeding season for our terns, especially in light of last’s years troubles. 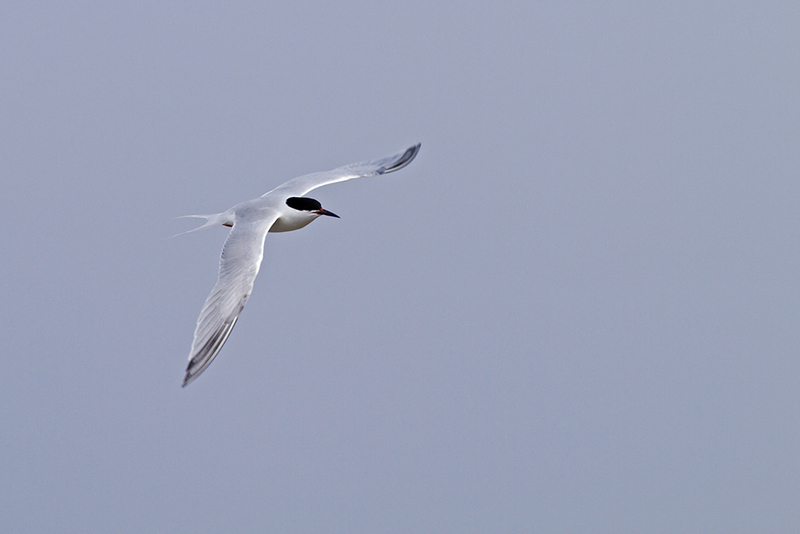 The Arctic Terns in particular did very well thanks to good food, good weather, and few problems with predators. We hope this bodes well for future years on Metinic. We (or next year’s crew) will let you know, starting next May! Thanks for following along with our work here on Metinic. Zak and I have had a fantastic time out here and we hope you’ve enjoyed reading about what we and the birds have been up to. Wish our terns chicks luck!